(Newser) – Much was made of NASA's announcement last month that "building blocks of life" had been found on Mars. But new research suggests the same organic molecules may actually have been discovered by Viking landers NASA sent to Mars in 1976—and then accidentally burned, New Scientist reports. The landers' main instrument was a gas chromatograph-mass spectrometer, which used heat in an attempt to find organic matter. 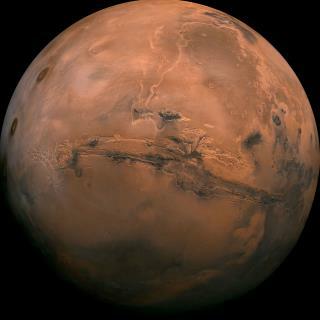 But scientists now know that due to a chemical in the soil on Mars, that process would have destroyed anything organic. At the time, scientists were "shocked" when the Viking landers reported finding nothing organic, USA Today reports. You cannot discover something while also remaining unaware of it. I am never surprised by the breathless headlines of stories about life on other planets. First of all, the writer admits that there might not have been any organic matter destroyed. But more importantly if there is organic matter on Mars what is the likelihood that the Lander just happened to light on the one spot where it is located? Idiocy.